To me, the mecca of soccer is Brasil. So when I learned that it was going to host the World Cup this year, I made plans to attend with some good friends. I spent 16 days (including 2 travel days) in Brasil and attended six live matches in three different cities and watched countless other games at the Fan Fest venues and other local clubs and bars. What an amazing experience! I was pleasantly surprised by the good sportsmanship by the different fans toward one another. Of course, passion, alcohol and gangs of men created some tense moments of confrontations. In general, however, the people were very cordial and respectful to each other and I didn’t personally see any soccer hooligans. The World Cup truly is a great coming together of people from all over the world. Brazil is an incredibly beautiful country. I went to three coastal cities. Rio de Janeiro is just fantastic with its well-known landmarks. There were some really cool hang out places in Ipanema, Copacabana and Leblond. 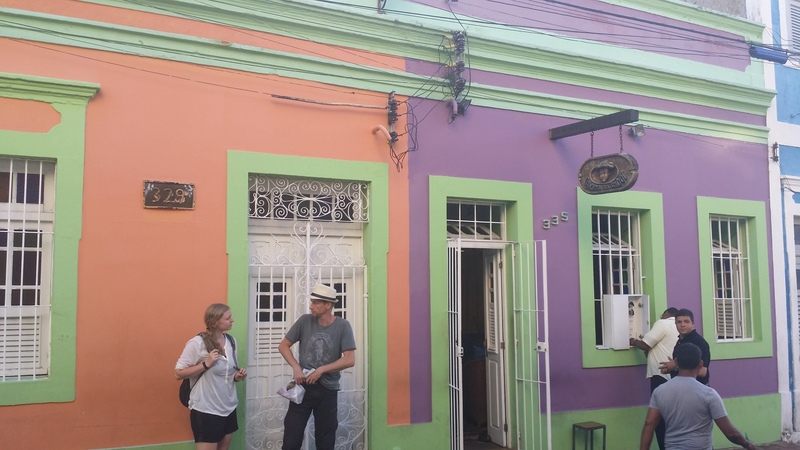 Salvador is a very historic city with the charms of the preserved “old town”. There is also great live music there. Recife offered our group a great reprieve with its beautiful beaches. Our excursion out to Olinda was one of my best memories. It’s an old hill-top city with colorful architecture and world-class restaurants. We always tried to find the most popular “local” spots to watch the Brazilian matches. That was a good plan. In Rio we went to Rodrigo de Freitas Lagoon, and in Recife we went to the distillery Carvalheira. Those were two of the most memorable experiences throughout the trip. The Brazilians love their soccer and they know how to party, and they won both matches. 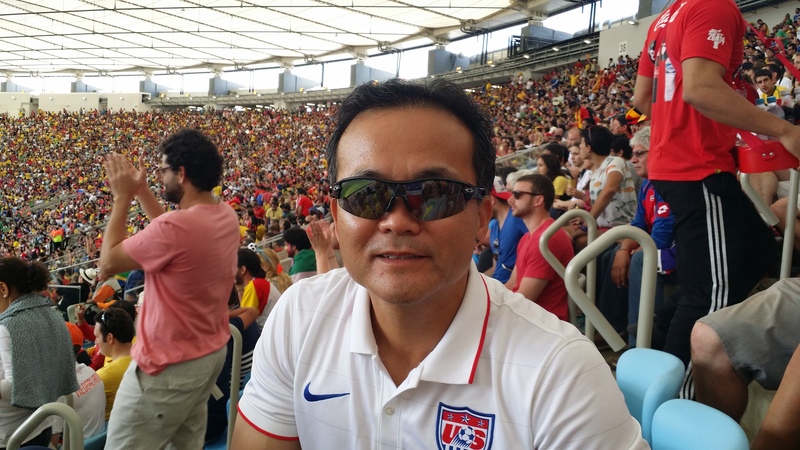 Americans bought the most World Cup tickets other than the host Brazilians and it showed everywhere I went. 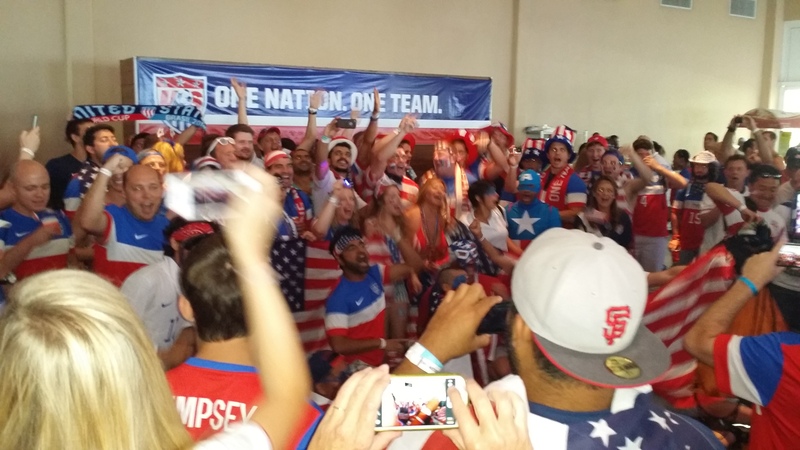 Americans had their own pregame prep rallies/raves/parties organized by a fan group called the “American Outlaws”. These were off the hook crazy and fun. They were great bonding moments for us American supporters. Despite outnumbering the fans of opposing teams, the American cheers and chants lacked the organization, wit and passion of other groups. The smaller opposing fans kept up if not out-cheered the larger American contingent. We need better team chants. You can yell “U-S-A” for only so long. Google translate came in very, very handy. But I did enjoy learning some Portuguese words as well. I felt completely safe throughout the trip. I know there were extra security at all the events but nonetheless the safety concerns for tourists were completely overblown, as usually is the case by the media. Apparently, Brazilians like to kiss after dancing together or so we were told. We witnessed countless couples making out around us after dancing together. We stayed off the dance floor but still had fun.